Our Best Answer - Where will orientation check-in take place? Freshmen Orientation is a mandatory two-day, one-night program. Check in is at the Encinitas Lawn (Bldg. 20), on the first day of orientation. Guests attending the Freshman Parent & Family & Guest Orientation Program will also check in at the Encinitas Lawn (Bldg. 20). Transfer Orientation is a mandatory, one-day program. Check in takes place at the lawn right in front of the Bronco Student Center (Bldg.35), on the day of your orientation. 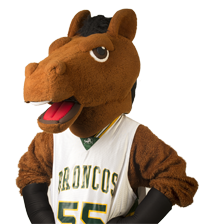 Guests attending the Transfer Parent & Family & Guest Orientation Program will also check in at the Bronco Student Center (Bldg. 35) with their students. If you are a Veteran of or are on active duty in the U.S. Armed Forces, please visit the Freshmen Veteran & Military Orientation or Transfer Veteran & Military Orientation for more information. If you are an international student, please visit the International Student Orientation for more information. What do I bring to Orientation?